Victory Plastics & Anchors manufactures custom specialty construction parts and applications from a variety of aluminum and plastic materials. Our business reaches all over North America. 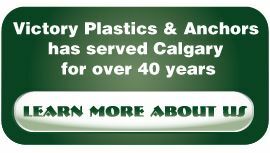 Located in Calgary, we’ve had over 40 years of experience moulding and fabricating various construction products, from beam clamps and ceiling flanges to expandable bentonite sleeves and Q-Deck Hangers. All of our products are fully tested and approved before we ship them out. You’ll always receive the highest quality, knowing our parts won’t fail during the job. Many of the products here at Victory Plastics & Anchors are highly economical. No more so than our own uniquely designed fence clips. Our Rail Fence Connectors have a superior build than past methods. The fence clips are stronger, longer-lasting, and far more economical. You’ll find your labour time is cut in half thanks to our new model. 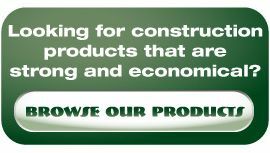 Our other products provide similar economic advantages. If you would like to learn more about our custom moulded products, please contact us. We proudly serve all of North America.